Explore incredible limestone caves systems as you head underground with an expert caving guide. 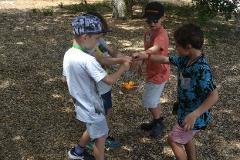 For ages 8-10, this activity is held in Yanchep National Park. Bring along your friends for a fun night of camping games and an amazing opportunity to discover how we monitor native species in the wild. For ages 7-11, this activity is held at Perth Hills Discovery Centre. Explore incredible limestone caves systems as you head underground with an expert caving guide. 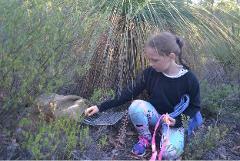 For ages 10-14, this activity is held in Yanchep National Park. There are lots of critters hiding in banksia woodlands, but do you know how to find evidence of them? 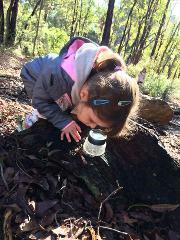 For ages 3-6, this activity is held at Star Swamp Bushland Reserve. Using a GPS, discover the wild things in nature through hidden clues and help the native species return to their wild environment. 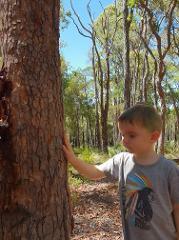 For ages 7-12, this activity is held at Canning River Eco Education Centre. Collect the clues along the Canning river in canoes to discover they species who live throughout the water. 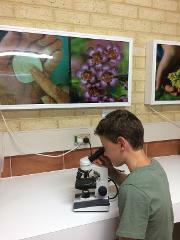 For ages 10-14, this activity is held at Canning River Eco Education Centre. 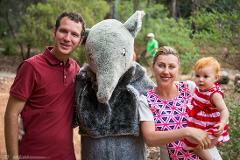 For a fun family night out, join our experienced guide as we head out for a night walk around Lightning Swamp. Keep your eyes and ears open for owls, frogs and kangaroos. 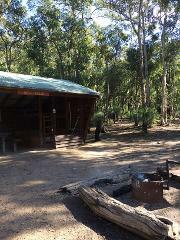 For ages 6+, activity is held at Lightning Swamp in Noranda. Open your senses to a new way of exploring the world. Delve into the mind of an animal as you discover how they hunt, search for mates and find shelter using all of their senses. For ages 4-7, activity is held at Piney Lakes. 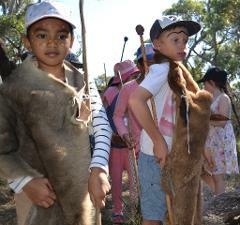 In this hands on activity, your children will gain an understanding of Nyoongar culture as they head out with an Indigenous guide to discover their techniques. 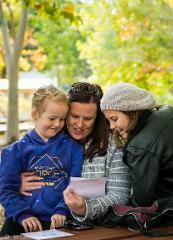 For ages 4-11, this activity is held at Perth Hills Discovery Centre. Camouflage is the key to survival for many of our native species. 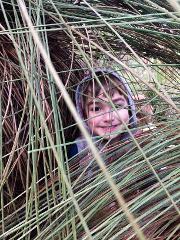 How many can you find hiding in the bush, do you think you can camouflage just as well as they can? For ages 4-7, this activity is held at Perth Hills Discovery Centre. Get messy making your own damper and cooking it over hot coals before you head out to forage for bush tucker. For ages 7-12, this activity is held at Perth Hills Discovery Centre. Explore all the creatures which live together in one large tree from beneath the soils with the roots all the way up to the leaves waving above. 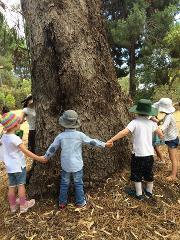 For ages 3-6, this activity is held at Canning River Eco Education Centre. Explore the Jarrah forest while searching for the Easter bilby, create your own Easter basket and enjoy a a special encounter with some native animals. For ages 3+, this activity is held at Perth Hills Discovery Centre. There are many kinds of waterbirds with different features that help them to search for food or survive long migration flights. 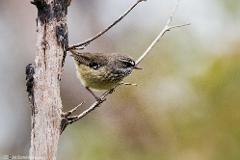 Explore the different characteristics these unusual birds have. For ages 4-7, this activity is held at CREEC. 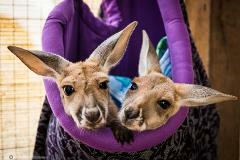 There are many kinds of joeys in our jarrah forest, Discover how these marsupial babies survive in their mothers pouch. 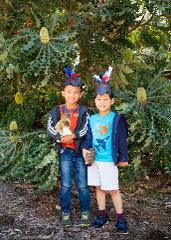 For ages 4-7, this activity is held at Perth Hills Discovery Centre. Many marine creatures use shells as homes and when they grow they need to find a larger space, so what happens when the house not longer fits? 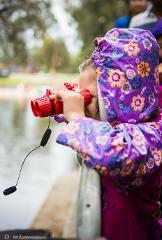 For ages 4-7, this activity is held at Coogee Maritime Trail in City of Cockburn. Learn to identify bird calls and use binoculars when you join a guide from Birdlife Australia on an early morning bird walk through the Jarrah forest. 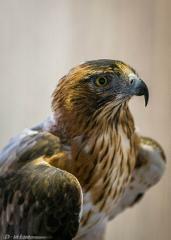 For ages 6, this activity is held at Perth Hills Discovery Centre. Enjoy a morning family walk along the Bibbulmun track to Ball Creek campsite, then replenish your energy with a Sausage sizzle back at Perth Hills Discover Centre. For ages 7+, this activity is held at Perth Hills Discovery Centre. Help James Pond and Possum Galore solve the "Mysteries of Nature' as you head out with your spy kits on a junior spy mission. 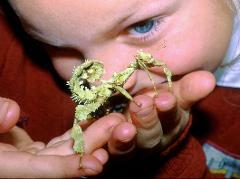 For ages 7-12, this activity is held at Star Swamp Bushland Reserve. Study the fascinating world of arthropods as you discover what it's like to be an entomologist for day. Get up close with some of these creepy crawly species. For ages 7-12, activity is held at Piney Lakes. Study the different features of our amazing birds of prey and use your knowledge to identify which raptors we have living in the Perth area. 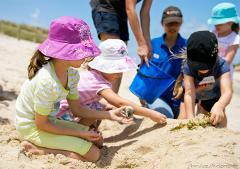 For ages 7-12, this activity is held at Coogee Maritime Trail in City of Cockburn.